"...before we could open our mouths to give the countersign several dogs came bounding over the fence with a great riot and noise, and each of them took a soldier by the slack of his trousers and began to back away with him. We could not shoot the dogs without endangering the persons they were attached to so we had to look on helpless at what was perhaps the most mortifying spectacle of the Civil War. There was light enough and to spare, for the Mason's had now run out on the porch with candles in tier hands. The old man and his son came and undid the dogs without difficulty, all but Bowers's; but they couldn't undo his dog, they didn't know his combination, he was of the bull kind and seemed to be set with a Yale time-lock, but they got him loose at last with some scalding water, of which Boweres got his share and returned thanks. Peterson Dunlap afterwards made up a fine name for this engagement and also for the night march which preceded it but both have long ago faded out of my memory". Twain also could not resist the temptation to take a lighthearted dig at the elaborate maps commissioned for the B&L articles. Readers are surely familiar with the oft reproduced 'seat of war' Civil War illustrations, sprawling images of vast theaters of war from an imagined aerial perspective. Twain's own "The Seat of War" (at left) is instead a crude drawing of his obscure four county Missouri area of operations. If Twain were still around today, at least George Skoch and Steven Stanley would have nothing to worry about. Union Casualties at Gettysburg: A Comprehensive Record by Travis W. Busey and John W. Busey (McFarland, 2011). Many readers with recognize John W. Busey as the co-author (with David Martin) of the various editions [4?] of Regimental Strengths and Losses at Gettysburg. The new casualty register is published in three 7 x 10 paperback volumes totaling 1,616 pages and costs $125. According to the publisher: "This work is organized by company and regiment and includes information for each soldier: rank, enlistment date, personal information, service record both before and after the battle, circumstances of casualty and burial locations on the field and in the Soldiers' National and Evergreen cemeteries. Casualty tables are provided for each company, as are brief accounts of Federal hospitals and Confederate prisons which treated or incarcerated some of the casualties. Thirteen appendices include casualty information by brigade, division, corps, state, and burial location; a civilian casualty list; and information regarding the transportation and treatment of the wounded, among other subjects." Lee: "THE L&N RAILROAD IN THE CIVIL WAR: A Vital North-South Link and the Struggle to Control It"
The Baltimore & Ohio, Memphis & Charleston, and Mobile & Ohio may have been more famous, but the Louisville & Nashville Railroad was a critical north-south logistical lifeline for Union campaigns aimed at the heartland of the Confederacy. Its directional orientation, beginning in Louisville and passing through Elizabethtown, Munfordville, Bowling Green, and Gallatin (as well as a handful of trunk lines) before terminating in the Tennessee capital, assured that ownership would be contested in wartime. 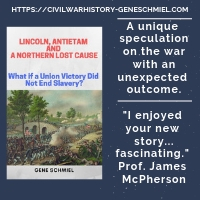 Dan Lee's new history of this line The L&N Railroad in the Civil War mostly deals with the military efforts of both sides to control or interdict the passage of troops and supplies down through Kentucky and into Tennessee. The man at the center of L&N operations was its president, the politically powerful James Guthrie. While the author attempts to cast Democrat Guthrie as a bit of a crass economic opportunist of doubtful loyalty, the evidence presented in the book that would support such a claim is not particularly strong. Many officers complain about a lack of supplies, and, without a more thorough investigation, it is difficult to objectively assess the degree of truth behind contemporary charges that Guthrie was overly stingy in prioritizing civilian goods over military traffic. What can't be denied is his success as a businessman, as the L&N greatly increased profits year by year (undoubtedly helped by the federal government shouldering the repair burden), but, again, pointing to yearly profit totals without context is not a meaningful way to assess war profiteering. Much of the book is devoted to recounting military operations related directly or indirectly to the L&N. Including descriptions of both regular and irregular warfare conducted along the road's length, the breadth of the discussion is satisfactory. Not surprisingly, the exploits of Confederate raider John Hunt Morgan figures prominently in the 1862-63 period. While comprehensive, the military treatment overall is pretty conventional and sometimes wanders a bit too far off topic. The best sections, in terms of fresher material, are the ones covering the 1861-62 period and the guerrilla attacks on the railroad. The wartime papers of Guthrie himself have been lost, and there is really little if any input by other employees of the railroad in the book. While the book's anecdotal detail is good, a meticulous and sustained quantitative assessment of the railroad's equipment, defenses, and relative importance to the Union war effort is largely absent. However, such information is offered in spots. For instance, a table listing the strength and location of rail guard detachments at a certain date is provided, as well as a snapshot rundown of Union artillery numbers and types emplaced at strategic points. In the end, the main value of Lee's study lies in the scope of its narrative of military events associated with the L&N railroad. 1. Flames Beyond Gettysburg: The Confederate Expedition to the Susquehanna River, June 1863 by Scott Mingus (Savas Beatie, 2011). I never did get to reviewing this book the first time around, but this new revised edition is worth a look. There certainly is a night and day difference in the presentation. 2. Shifting Loyalties: The Union Occupation of Eastern North Carolina by Judkin Browning (UNC Press, 2011). This study chronicles the Union occupation of Carteret and Craven counties in NC. The focus is on white and black Unionists in the region, many of the former appearing to have soured on the experience by 1865. 3. Moments of Despair: Suicide, Divorce, and Debt in Civil War Era North Carolina by David Silkenat (UNC Press, 2011). I have no idea how well developed the current literature is on how the Civil War changed the cultural landscape when it came to moral sanctions against suicide, divorce, and indebtedness, but it is not surprising that one would find the southern experience exceptional, given the pace and scale of social and economic changes. 1. Refugitta of Richmond: The Wartime Recollections, Grave and Gay, of Constance Cary Harrison edited by Nathaniel Cheairs Hughes, Jr. and S. Kittrell Rushing (UT Press, 2011). During the war, Constance Cary Harrison, wife of President Davis's secretary, published newspaper columns under the pen name "Refugitta". First published in 1916, Harrison's memoir has been revived with a new introduction and notes by historians Hughes and Rushing. 2. 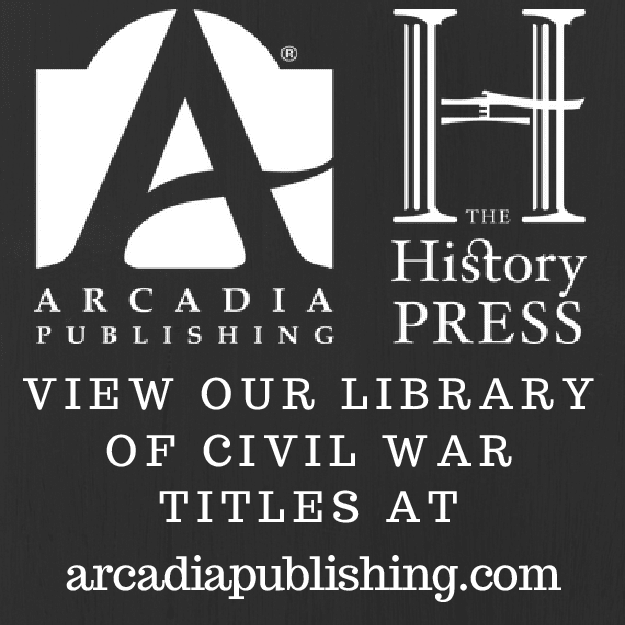 The California Historical Society Quarterly: Civil War Commemorative Issue, Vol. XL, No. 4, December 1961. It is unclear if the various state historical society journals will jump on the Civil War Sesquicentennial bandwagon, but they sure did publish reams of articles around the centennial years. The CHSQ even devoted an entire issue to it. The Civil War Commemorative Issue has four articles: a California in the Civil War bibliographic essay (pretty thin! ), a nice chapter about secessionist Dan Showalter and early Union efforts in the southern part of the state to keep pro-Southern citizens from fomenting trouble or leaving altogether to join Confederate units, a look at the instate divide in the context of the religious split among Methodists, and finally a short piece on California soldiers that includes a nice organizational table. It's not a particularly deep issue, but worth a look if you're interested in the subject. Martin: "'I WILL GIVE THEM ONE MORE SHOT': Ramsey's 1st Regiment Georgia Volunteers"
The First Georgia Regiment was a twelve month unit that manned Confederate defenses at Pensacola, Florida and fought in western Virginia before being mustered out in the spring of 1862. George W. Martin's I Will Give Them One More Shot is an impressively detailed regimental history and roster study of this unit, its companies raised from nine counties scattered across the state. Martin makes fine use of local newspapers, unpublished letters, and other primary source materials to relate to the reader the initial fervor of the officers and men for the Confederate cause, an enthusiasm that would be severely tested in the isolated wilds and winter storms of Appalachian Virginia. The Lavender Ray diary and letters were an especially fruitful find, as the Newnan Guards private was a steady and articulate chronicler of the 1st throughout its term. On the other end of the spectrum, James Newton Ramsey, the regiment's colonel, put less of a stamp upon the regiment's story, as his frequent sicknesses kept him out of action and absent from Martin's narrative for extended periods. Save for the book's coverage of the Romney Campaign, which tended to follow a more general outline, the level of attention paid to the 1st Georgia's specific role in each battle and campaign is quite satisfying. The men were not involved in heavy combat during their first posting at Pensacola opposite Union held Fort Pickens, but they did gain some experience in manning artillery, which many of the Georgians undoubtedly found to their liking as four entire companies reenlisted in that branch of service in spring 1862. In June, the regiment was sent to the mountains of western Virginia, where it promptly experienced disaster. With the Union victory at Rich Mountain, Laurel Hill, the other of Confederate General Robert S. Garnett's fortified points (as well as the camp of the 1st Georgia), became untenable, forcing a harrowing retreat through barren wilds. Garnett's death at Corrick's Ford is fairly well documented in the literature, but Martin's description of the rear guard action at Kaler's Ford, of which the 1st played a prominent role, is the best coverage of that event available. The author's account of the wilderness retreat of the Georgia regiment's separated halves (Ramsey's main force and Major George Thompson's detachment) is also excellent. Later on, the regiment participated in September's aborted Cheat Mountain campaign, but did see significant action during the October 3 Greenbrier battle that blunted a federal movement against Confederate Camp Bartow. The January 1862 Romney Campaign, with its expeditions against Bath, Hancock (Md), and Romney itself, concluded the 1st's active Civil War military service. It also left the men embittered against Stonewall Jackson for his perceived operational incompetence and indifference to the Georgians's plight. There was also a near mutiny over the regiment's official mustering out date. Nevertheless, most of the men reenlisted in the spring, with the book's epilogue providing a fine overview of each company's reorganization. Covered in gray cloth, the book itself has a fine look and feel, and is abundantly stocked with photographs and maps. While simple in design and lacking scale, the latter do trace the operational movements of the Georgians for each campaign as well as their tactical positioning at all the battles and skirmishes described in the text. Appendices provide a list of the 1st Georgia's organizational attachments, a casualty discussion*, and richly detailed company rosters. I Will Give Them One More Shot is a well researched and satisfyingly full featured history of a short lived Georgia regiment. In its military historical capacity, this unit study is also a valuable contribution to the literature of the 1861 battles and campaigns in western Virginia. * - the actual casualty list was mistakenly omitted from the first printing. However, a .pdf copy down be downloaded from the author's website (here). 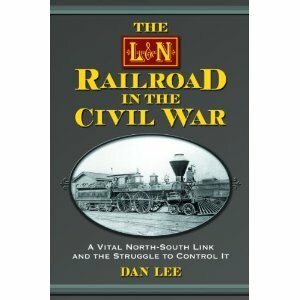 * The L&N Railroad in the Civil War: A Vital North-South Link and the Struggle to Control It by Dan Lee (McFarland, 2011). Given their importance (and the Louisville & Nashville certainly was critical to western theater logistics) as well as the more general interest in American railroads, it is a bit surprising there aren't more of these published. I've reviewed a couple other recent vintage line histories with significant Civil War content: here and here. * One Continuous Fight: The Retreat from Gettysburg and the Pursuit of Lee's Army of Northern Virginia, July 4 - 14, 1863 by Eric Wittenberg, J. David Petruzzi, and Michael F. Nugent (Savas Beatie, 2011). S-B is reprinting a number of titles this year, including many from Ironclad Publishing, and this is the first paperback edition of One Continuous Fight. I reviewed the hardcover back in '08 (link). Clark: "THE NOTORIOUS 'BULL' NELSON: Murdered Civil War General"
The life and promising Civil War career of William "Bull" Nelson has always been overshadowed by his shocking demise at the hands of aggrieved Union general, Jefferson C. Davis of Indiana, on September 29, 1862 inside Louisville's Galt House hotel. Though relatively brief, Donald Clark's The Notorious "Bull" Nelson: Murdered Civil War General provides an unprecedentedly expansive look at the burly Kentuckian's public service, especially his important roles in organizing Kentucky unionists and leading brigade and division sized forces in the western theater. Unfortunately, the lack of a significant body of Nelson papers leaves his inner world a mystery. Adding to the difficulty in getting to "know" the man was his incredible ability to inspire loathing and loyalty in equal measure. A huge, impulsive man who could be an astonishingly vulgar bully, Nelson could also inspire men with his aggressiveness and coolness under fire as well and his steadfast loyalty to the Union. In the latter capacity, he is often credited with helping to save Kentucky for the Union during the critical period in 1861 when it was unclear to many observers which way the Bluegrass State would go. While the 'savior' label appears to be something of an exaggeration, Clark clearly demonstrates how Nelson's indefatigable efforts to arm and organize Union regiments in Kentucky (as well as unionist fugitives from East Tennessee) bore fruit in the campaigns that followed. A career naval officer before the war, Nelson's championing of the Union cause in Kentucky led to a brigadier general's commission and the task of heading a military expedition into the state's Big Sandy Valley. Clark recounts well this little known October-November 1861 campaign, one that culminated with Nelson's victory at Ivy Mountain. Although he does not believe that Nelson's evening arrival on April 6 saved the Army of the Tennessee from defeat at Shiloh, Clark does feel that the post-battle defensiveness of Grant and others in the face of a very public backlash helped deny Nelson his proper share of the credit for Union victory in the two day clash. While Nelson's positive traits are generously extolled in the book, the general's professional flaws are not overlooked. At Corinth in 1862, the Kentuckian engaged in an unseemly quarrel with General Pope over who reached the town first, and, later that year, he thoughtlessly and needlessly forced marched his men in extreme heat, leading to several deaths. However, in Clark's discussion of Nelson's time at the helm of the Army of Kentucky, the author, while he does not completely exonerate the general, comes across as perhaps a bit too forgiving of Nelson's level of responsibility for the Battle of Richmond debacle. In researching his account of Nelson's shooting death, it does not appear that Clark uncovered new details that alter our understanding of that unfortunate event. Readers seeking a clear answer to the question of why General Davis was not prosecuted for what would seem to be an obvious case of murder will not find a definitive one. This is not through any fault of Clark, but rather that a tidy explanation does not exist. Clark uncovered no conspiracy on the part of Indiana governor Oliver Morton (a popular accusation) and the frequently cited suggestion that the murder was an acceptable "honor killing" between gentlemen officers is not fully satisfying. The author himself offers an interesting interpretation, that the public at large viewed Nelson's constant string of violent physical and verbal assaults upon subordinate officers and common soldiers as a prime example of the outrageous level of abuse selfless volunteers had to endure at the hands of tyrannical members of the professional military caste. Rather than a personal conflict of honor between individuals, the killing was viewed publicly as a justifiable redress of a larger social violation of the rights of free citizens. Without the discovery of a significant cache of Nelson papers, it is unlikely that a deeper personal portrait of this man who was a mass of contradictions is possible. Beyond providing a commendable military biography of William Nelson, Donald Clark's study is a valuable contribution to our understanding of the early war western campaigns in Kentucky and Tennessee. Masur: "THE CIVIL WAR: A Concise History"
Condensing the history of a continental scale Civil War, especially one characterized by massive military campaigns and sweeping social and political change, into a narrative less than one hundred pages in length is no mean feat, and Louis P. Masur's The Civil War: A Concise History largely succeeds in the attempt. The author traces the etiology of the sectional conflict back to the founding generation and ends his short study with a chapter dealing with Reconstruction. 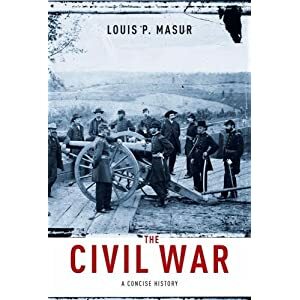 Masur usefully organizes his discussion of the war's origins into long term differences, short term aggravations, and immediate triggers, all the while recognizing the centrality of slavery in each. The narrative focuses far more on political acts and social initiatives (e.g. First and Second Confiscation Acts, Homestead Act, conscription, emancipation, colonization, arming of blacks, constitutional amendments and Reconstruction Acts) than on military events, with the Emancipation Proclamation as its interpretive center of gravity. Even if one takes into account the severe space limitations place upon the military discussion, one might deem the author's eastern centric approach more Centennial than Sesquicentennial. With even major campaigns dispensed with by a handful of sentences at best, the devotion of several pages to the Gettysburg Campaign gives the novice reader the impression that the battle was a decisive turning point, a traditional view no longer widely held. Also, use by Masur of the excellent body of work on the "inner" war that has emerged over the past few decades is not in evidence. These quibbles aside, those seeking an overview of the societal changes wrought by the war, that can also be read in a single sitting, will be satisfied with The Civil War: A Concise History. Reasonably priced as these things go, one can imagine Masur's work being usefully employed as an introductory text in high schools and lower division college courses. 1. 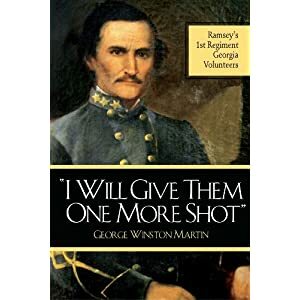 I Will Give Them One More Shot: Ramsey's First Regiment Georgia Volunteers by George W. Martin (Mercer UP, 2011). A nice looking history of a 12-month Georgia regiment that served initially at Pensacola and then in the mountains of western Virginia (at Laurel Hill, Cheat Mountain, Greenbrier River, and Romney) before being mustered out in March 1862. Also includes a roster. 2. Vaqueros in Blue & Gray by Jerry D. Thompson (State House Pr, 2000). Originally published by Presidial Press in 1977, the 2000 ed. contains an updated list of over 4,000 soldiers of Hispanic descent that served in both armies. The main text comprises a brief summary of the Civil War along the Rio Grande. 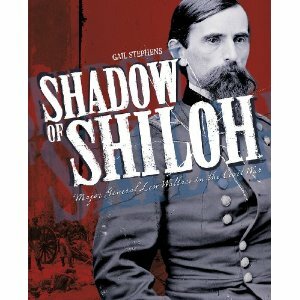 Stephens: "SHADOW OF SHILOH: Major General Lew Wallace in the Civil War"
In current discussions of the best Civil War political generals the Union army had to offer, Lew Wallace's name is rarely raised, although he compiled a record that would be the envy of many. Gail Stephens's Shadow of Shiloh is an impressively deep military biography of Wallace, full of well formulated analysis (much of it in the Indianan's favor). Even so, there will probably remain a disconnect between the thoughts of popular history Civil War readers on the one side and historians and serious students on the other, the former likely never to read this book and forever boiling Wallace's career down to being "lost" or "late" at Shiloh. Understandably, many of Shadow of Shiloh's chapters are devoted to Shiloh and the 1864 Battle of Monocacy, but a multitude of other military and administrative exploits are recounted, often in great detail. By most definitions a political general, Wallace did serve in Mexico as a company officer and was not a complete military novice when the Civil War erupted. Taking advantage of his Indiana connections, Wallace was an important figure in the raising and training of state volunteers. Taking a field command, he led the 11th regiment into western Virginia in 1861, launching a successful surprise attack on Romney. The general's impressive stand on the Union right center at Fort Donelson in February 1862 is retold in minute fashion, as is his important, but far less heralded, feat organizing the defenses of Cincinnati during the 1862 Kentucky Campaign. After that, Wallace, due to the Shiloh controversy and his outspokenness, found himself sidelined. He unhappily managed Camp Chase in Ohio and, though he did not prefer the legal arena, served on the Buell Commission [and after the fighting ended, the Lincoln conspirator and Wirz trials]. Wallace's role at Shiloh and the controversies that ensued are exhaustively examined. Generally sympathetic to the general, the author does not avoid highlighting the man's faults, all of which contributed mightily to his negative image among his superiors (most notably Grant and Halleck). Stephens has offered her views on Shiloh before, and this book does not contain reams of fresh information or startling new interpretations, but what she does do here is meticulously present her case that Wallace was neither unconscionably late at Shiloh nor lost on the way to the battlefield. Along the way, opposing arguments are effectively refuted. The author does a fine job of linking the general's character flaws to how his conduct at Shiloh would be perceived by others. Wallace's pre-Shiloh penchants for ignoring chain of command, exceeding or disregarding orders, and inhibiting staff cooperation all ensured he would not have a friend in Grant or in Grant's staff. At Shiloh, a lack of communication between Wallace and Grant (for which both are responsible) led to false expectations as to which route to the battlefield would be employed. Wallace had improved the Shunpike and notified other colleagues, but not apparently Grant. It is clear from the evidence that Wallace did not receive the order to join the rest of the army until after 11 am on the 6th, rendering the charges that he was outrageously late. Those that would question why the general did not 'march to the sound of the guns' on the 6th should be reminded that Wallace's division occupied an important post in the Union rear that saw Confederate forces hovering nearby for some time prior to the battle. Stephens demonstrates that the pace of the march was not exceedingly slow, but does question (perhaps not forcefully enough) the wisdom of backtracking the lead brigade to also head the countermarch. The author also argues, rather successfully, that Wallace's Day 2 attack on the Union right was not excessively cautious, as many of his critics maintain. Much of the second half of Shadow of Shiloh is devoted to Wallace's appointment to command the Middle Department and his leadership during the Battle of Monocacy. The author's account of Monocacy, though quite detailed, is pretty standard, with Wallace's battlefield management of a very difficult situation much praised. However, it is a bit unfortunate that Stephens joins others in viewing Wallace's defeat as a foregone conclusion, as the war offers up a host of examples of successful defenders occupying strong positions while outnumbered two to one or worse. But that is a niggling complaint. The battle does demonstrate how quickly a commander can go from goat to hero in the minds of the military, government, and popular press. Book presentation and materials are top notch, although some readers might feel that the 9" x 11+" dimensions can be a little awkward for casual use. 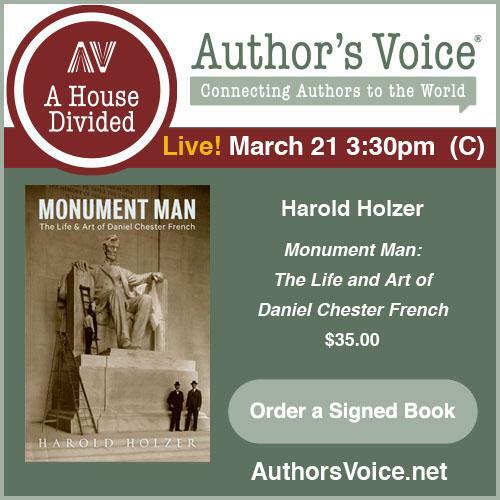 With oversize double-columned pages, the book is even more substantial in length than it appears on paper. Maps are large, plentiful, and convey the right amount of information for a work of this type. With Shadow of Shiloh, Gail Stephens has created one of the better examples of Civil War military biography in the literature. Students of Shiloh historiography will perhaps benefit most from owning this fine book, but broader interest enthusiasts of the campaigns and battles covered will also find much to appreciate. 1. Lincoln and Citizens' Rights in Civil War Missouri: Balancing Freedom and Security by Dennis K. Boman (LSU Pr, 2011). This book takes a detailed look at administration policies aimed at suppressing active and passive opposition in Missouri and the constant conflict between those and the traditional constitutional protections of the rights of private citizens. 2. A Visitation of God: Northern Civilians Interpret the Civil War by Sean A. Scott (Oxford Univ Pr, 2010). Scott examines the northern home front's support of the war through the perspectives of church leaders and their congregations. 3. This Birth Place of Souls: The Civil War Nursing Diary of Harriet Eaton edited by Jane E. Schultz (Oxford Univ Pr, 2010). Eaton, a Baptist from Portland, Maine, served as a nurse for the sick and wounded of the Army of the Potomac, beginning with Antietam's aftermath. This is the diary's first publication and includes "an extensive introduction by the editor, transcriptions of relevant letters and newspaper articles, and a comprehensive biographical dictionary of the people mentioned in the diary." According to the publisher's description, Eaton's writings are unusually free of reticence.